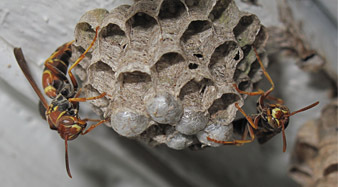 Bees and wasps can be a serious threat to you and your pet's health and safety. 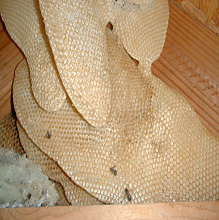 Removing bees and wasps is challenging work and can be dangerous if you don’t have the right skills and equipment. Having a professional there to solve your problem is essential. 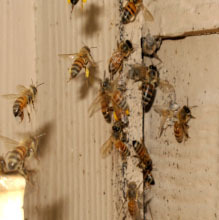 When dealing with Honey Bees or Africanized Honey Bees, EnviroTeam will remove the nest and honeycomb, while sealing the entry points so they will not return to the same area. 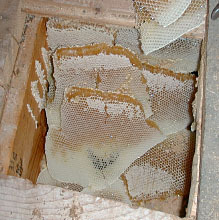 We will locate the least intrusive and best location for honey comb removal. This will minimize or eliminate any costly repair bills. We have the expertise to provide our customers with the best results. We also will provide a one year service agreement. Give us the opportunity to earn your trust.